Let us manage your network for you. Operating a business requires you to focus on many aspects including marketing strategies, economic growth, expansion, and IT. 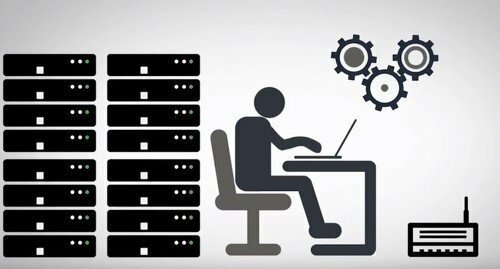 Computer Answers can take help your business run smoothly by managing a robust IT system so your time can be spent growing your business. Computer Answers is a leading Managed Services Provider, providing Information Services include (but isn't limited to) Backup, Communications, Storage, and Security and Monitoring of your systems. And our level of experience in handling computer systems, allows us to do much more. Computer Answers provides unparalleled software support and development. If you want to save money, outsource to us. Of course, you can hire an entire batch of new employees and train them to handle your IT network, but that's just too risky and too costly for any company. Why not outsource to another company that knows exactly what to do from the beginning of your partnership? Computer Answers has extremely capable IT specialists who will take care of your systems at a very minimal, flat monthly rate. With us, you can save at least 30% of what you would have spent for new, untrained employees. Backup - Your data will be constantly uploaded to our servers via the Internet, so if there is ever an untimely network crash, the data will be available for immediate retrieval. Communications - Computer Answers can provide voice over IP communication services for your company, which is 20 times faster and more efficient than traditional analog phones. IP communications is available with multiple site-calling capabilities, direct calls from your PC, and an automatic attendant feature. We can also provide you with a private emailing system within your company. Your external and internal communications are about to change for the better. Storage – Computer Answers can provide storage facilities for your important data. Our servers are more than enough for all of your data and can be transmitted directly into the Cloud. Security - Your business needs to be secure 24/7. With us, there is no question – we have multiple levels of security to deter hackers. Spam will also have no place in your network, as well as viruses and malware. Monitoring - Computer Answers will monitor your network's activities around the clock to ensure optimum system performance and as a way to maximize our security features. The vision of Computer Answers is to become an all-around provider of your computer and IT needs. We can customize packages to include additional features.. Do you want to develop and implement custom software? Do you want us to host your services in the Cloud? We can help you with software and Cloud hosting. Our services are flexible and we can modify our service packages depending on your company's own workflow. Your business doesn't have to conform to your IT. Let your IT work for your business. At Computer Answers, you get exactly that. Your business is now complete. for a free quote, Contact us above!